Throughout the years I have performed at many weddings all over the UK as far north as the Lake District and as far south as London. 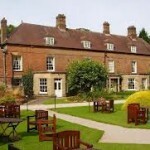 However Risley Hall not only is it local to me but it is one of the most beautiful wedding venues. Booking me for your wedding guarantees to be a great ice breaker and be a great talking point for all guests. My magic has taken me all over the UK performing for many, many people, Chairmans, Celebrities and even had a few spots on TV. As you will see I have won many awards for my magic and I am regarded as one of the very best sleight of hand experts in the midlands and I guarantee to amaze and astound your guests. As far as flexibility, I am more than able to perform between courses, or strolling amongst guests amazing them with my magic. If there are any children, no problem I perform child friendly magic and also make great balloon models for the younger ones. I am fully insured with Equity and CRB checked and offer a very hassle free service with no additional costs and I offer great value for money. This is some of the reasons why I get booked time and time again by the same people every year. Please have a look at my testimonials page for just a fraction of the great feedback I receive every week. Wedding Magician Risley Hall Derbyshire – My aim is to make sure your wedding is a good as can be and my input is a contribution to making it one of the best days ever.